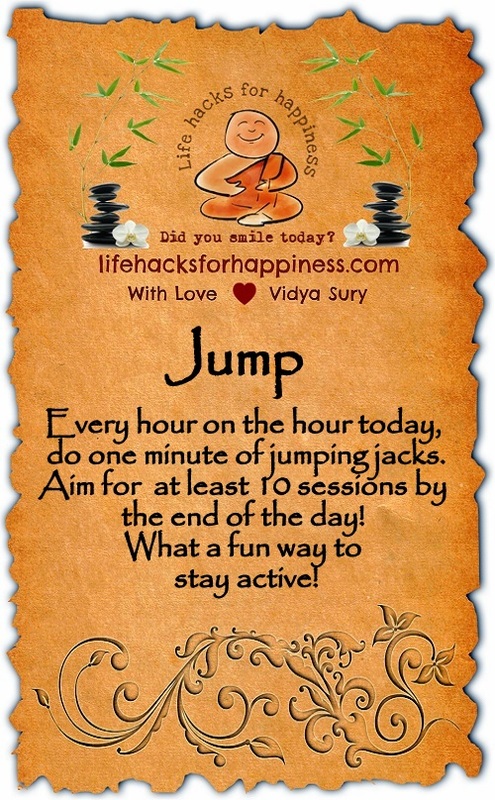 Every hour on the hour today, do one minute of jumping jacks. Aim for at least 10 sessions by the end of the day. What a fun way to stay active! And then, try some sitting meditation! I little exercise is always a good idea, especially if you work a desk job. One minute of jumping jacks really can get you energized again.